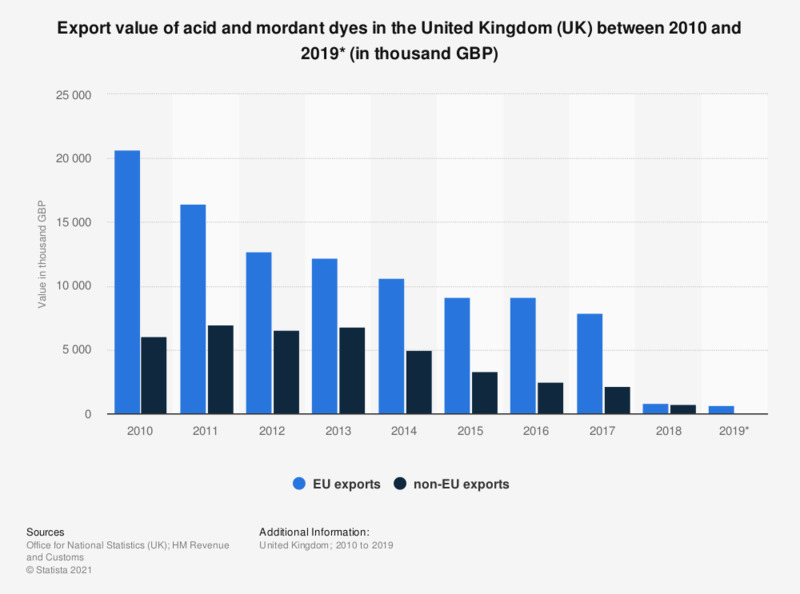 This statistic shows the value from EU and non-EU exports of acid and mordant dyes in the United Kingdom between 2010 and 2019*. The EU was clearly an important trade partner for the United Kingdom over this period. EU exports of acid and mordant dyes reached a value of 795 thousand British pounds in 2018. Acid and mordant dyes and preparations based thereon.